The GALS-D4 can operate in several modes. A state-of-the-art computer system will facilitate maintenance of the combat armoured vehicles, and assist in their navigation and control. Russian armoured and military motorized vehicles are going to be equipped with modern information management systems, which will facilitate the monitoring of their condition and will provide reliable navigation and remote control stations for weapons systems in future. The unique GALS-D4 complex has to perform several tasks including continuous monitoring of performance capabilities of all components and assemblies. The computer monitors the readings of sensors, alerts the crew about any faults, and transmits data on the state of the vehicle to command posts. In addition to diagnostic capabilities, the GALS-D4 has navigation equipment and records the route traveled by the vehicle, with the information about the condition and whereabouts of the vehicle over the last 10 years securely stored. Developed by the Volna Central Research Institute, this system is already installed in several armoured vehicles of the Typhoon family at the moment and undergoing pilot testing by the Ministry of Defence. 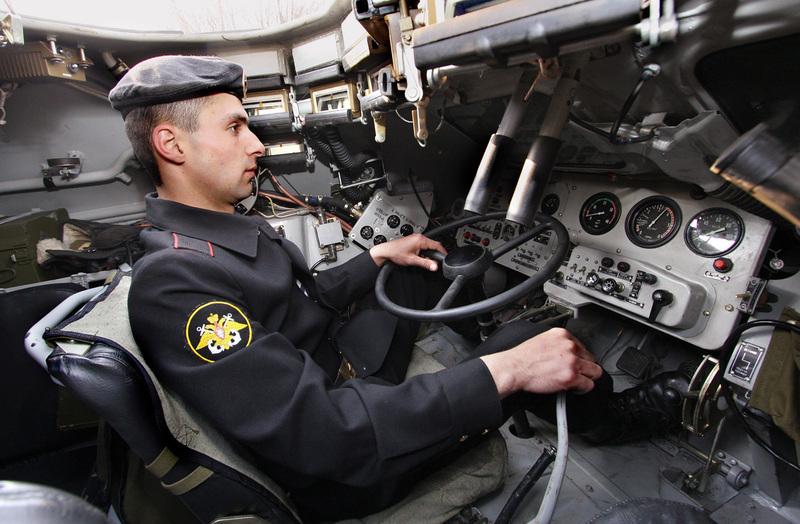 The system consists of several blocks weighing 1 to 2.5 kg, with computing, microprocessor and navigation elements compactly placed under the seats of the driver and commander of a combat vehicle. Elements of the system place the received information on 20-inch touch screen displays, located directly before the vehicle commander. The GALS-D4 can operate in several modes. In diagnostic mode, the touch screen device displays performance indicators of all the vehicle’s components, equipped with electronic monitoring units. The device operator will be able to get detailed information about the condition of the engine – oil pressure in the system, the number of operating hours completed, and the time till the next scheduled maintenance. In the navigator mode, the screen displays the pre-loaded map of the area, on which the operator, with satellite navigation, will be able to see the location of his combat vehicle. Zheltonozhko said such information management systems are relevant primarily for vehicles equipped with multiple weapons systems for different combat situations, as well as quite a wide range of intelligence gathering assets. “In Russia today, such systems have already been installed on the prospective Armata tanks, which have a number of overlapping target detection systems, as well as full monitoring of their technical conditions,” said Zheltonozhko.